Our brand-new, state-of-the-art Cucina combines the best of modern convenience and elegance. But the culinary adventure doesn’t end in the kitchen! 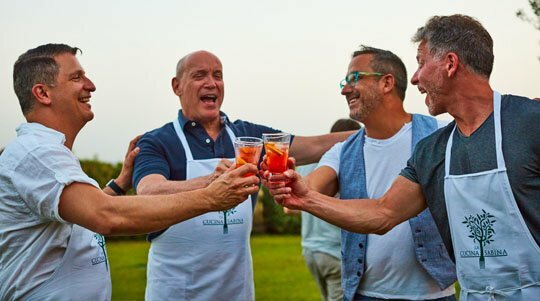 La Cucina Sabina’s seven-day, six-night culinary and cultural vacation combines food, culture, fun, and friendships at our villa and throughout the Sabina region near Rome. 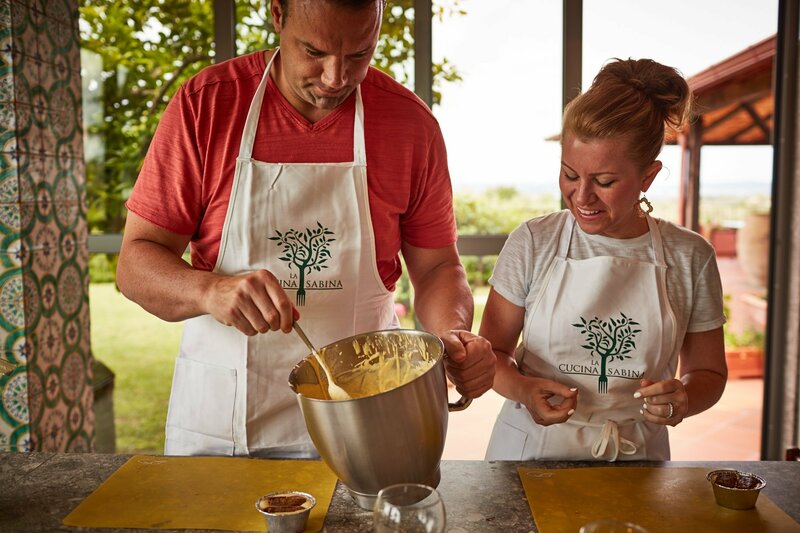 It’s an unforgettable foodie’s dream vacation designed for people of all skill levels! Don’t want to cook during one of our four lessons? 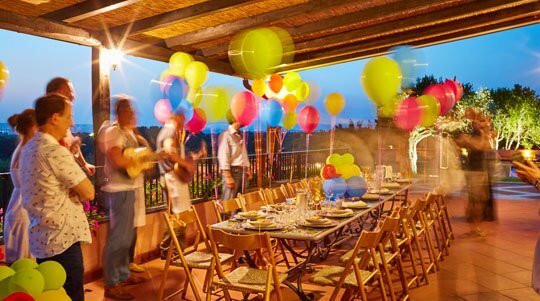 Sit back and enjoy the villa’s amenities and all the food, tours and fun. 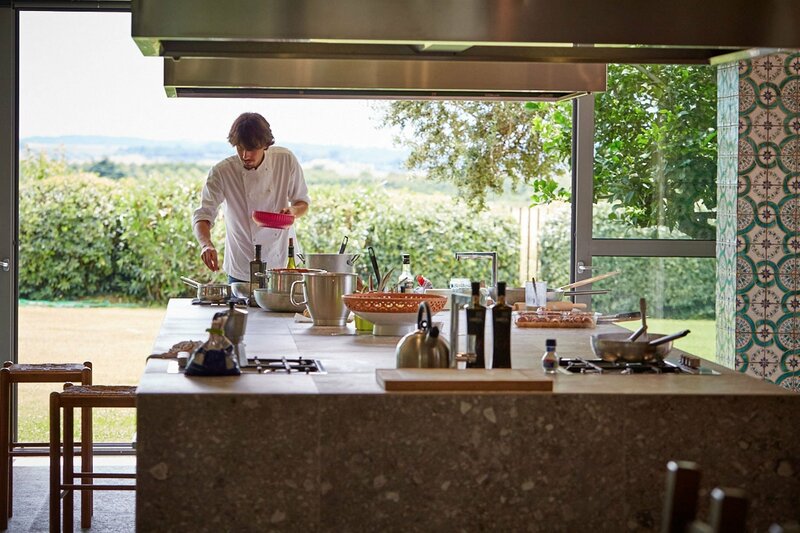 The specially designed kitchen has floor-to-ceiling glass on three sides so you cook as part of the environment. 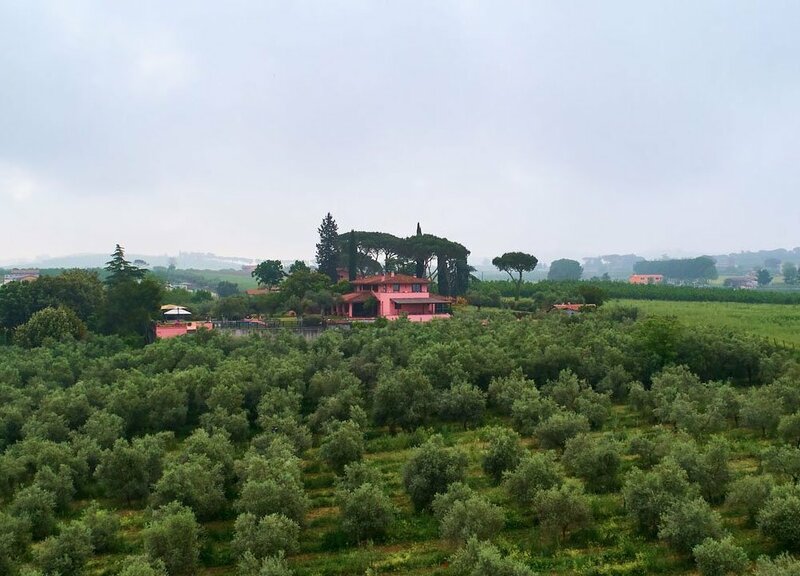 You will be inspired by the natural beauty of olive trees, rosemary and pomegranate bushes, lemon and fig trees and the surrounding hilltops and castles. La Cucina Sabina combines the best of what can be learned from professional chefs and local cooks, “nonnas” (grandmothers in Italian). 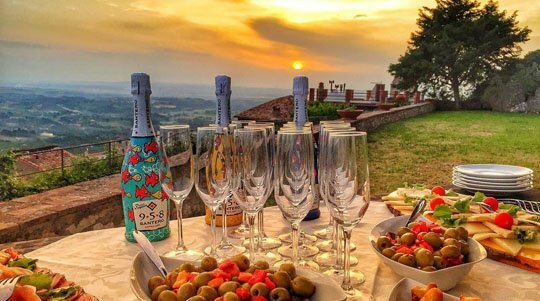 We feature local chefs and cooks who specialize in the traditional as well as more contemporary Italian dishes with regional and seasonal dishes, pasta and of course pizza and gelato. We also feature occasional visiting chefs for a unique experience. Our chefs offer well-rounded, easy to follow cooking lessons so that you will leave with specialty dishes that are easy to prepare but sure to impress your friends. Your vacation is a seven-day, six-night luxury culinary and cultural vacation at a modern villa. 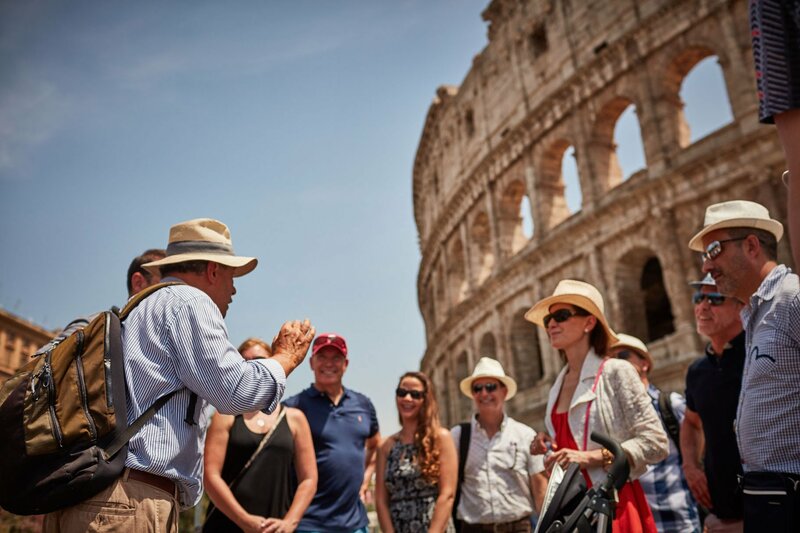 It combines food, culture, exclusive excursions and fun into an experience of a lifetime! You will enjoy access to places and people you would never find on your own. This creates a unique and AUTHENTIC experience that is unforgettable. Lodging and meals, including wine, coffee and tea are provided during your stay as well as culinary and cultural excursions. We offer four hands-on lessons. 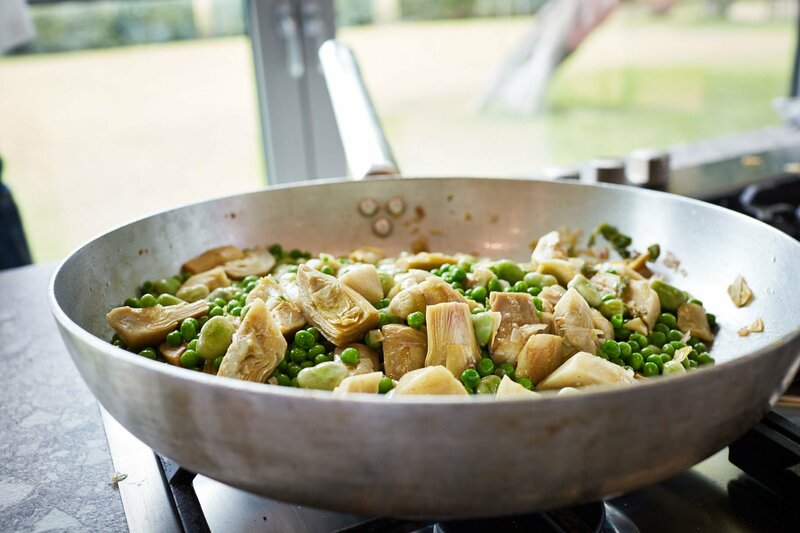 Cooking focuses on authentic and contemporary Italian cuisine, taught by our professional chef and a local Nonna. We teach regional recipes using seasonal, farm-to-table ingredients including antipasti, fresh pasta, risotto, vegetarian dishes, meats, and seafood dishes, wood-fired pizza , dolci (desserts) and gelato. Not keen on too much cooking? The lessons are optional with plenty of ways to relax and enjoy your time. All inclusive vacation pricing (except air) start at just $3,400 per person for a double occupancy room. Upgraded rooms and suites are available for slightly more. Either American King sized beds or two single beds are available in each room. There is a $500 single supplement for solo travelers. Putting together a group? Contact us for more specific pricing information and availability.